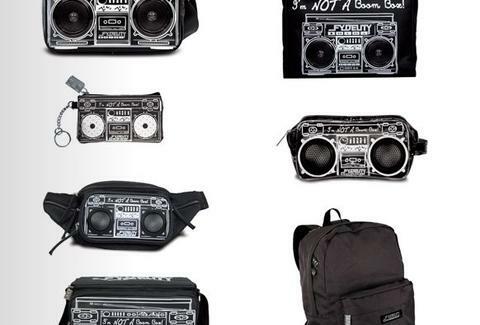 One of only four US suppliers, Wild About Music's scored a cache of these stylish bag/stereo hybrids, which feature speakers and 3.5mm jacks for iPods and Smartphones built into traditional Jansport-esque school backpacks, plus messenger bags, iPod-cases, and totes; all models read "This is not a boom box" across the side, though in the case of the tote it'd be better if it read "This is not a purse." But it pretty much is. Go with the messenger bag.